So, I have finally fallen victim of the inevitable adorableness of cake pops. But I luckily don't have to settle for the ones that have frosting mixed in and have been rolled up with peoples hands...(sorry if I offend anyone, but I just think that's gross...and how can they even taste good?!?) I got this cute little Bella cake pop machine with some of my Christmas money and I can already see how it's going to change me life. ;) They just so cute! And bite-sized, so who can say no? I need some work (or help?) on my drying rack...but this got the job done for my first try. So, one of our friends just had a birthday yesterday. 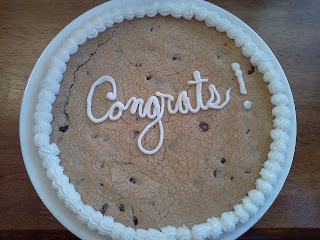 I work with his girlfriend, and she expressed to me how special she wanted this birthday to be, because he's turning 30. She had an idea for a cake, and I ran with it. You see, the birthday man is a knife (and outdoor) enthusiast. In fact, he gave Rocket Scientist a very nice pocket knife for Christmas. 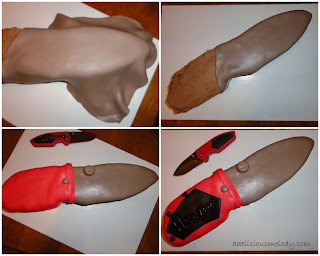 So, it's very fitting that my friend wanted the cake to look like a knife. I grabbed Rocket Scientist's new knife and sketched it larger on paper and cut it out. Then I baked a homemade chocolate cake, let it cool completely and traced the cut out. Then I carefully cut the shape out of the cake and removed the other pieces. 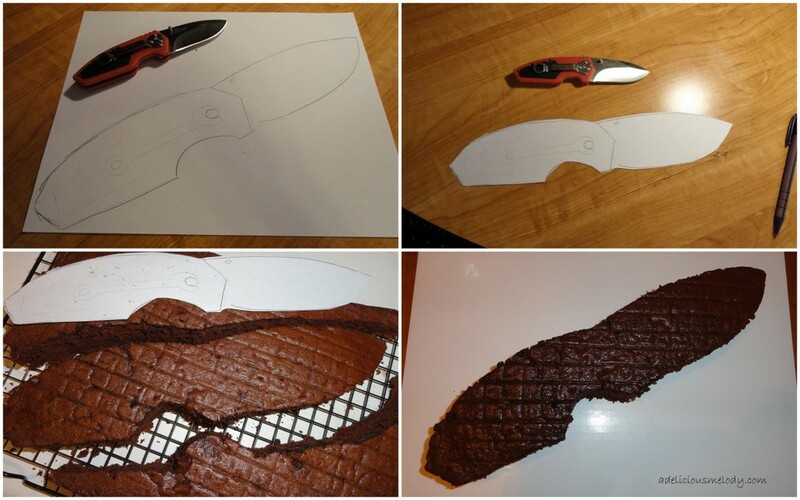 I transferred the knife cake to a sterile piece of cake-board to start decorating. Then since you need to frost cakes with a least a thing layer of frosting before place fondant on top, I just whipped up some yummy chocolate frosting of my own. (See recipe here.) I should have followed my mother's advice of always doing a crumb coat...but I didn't. :( So my layer of frosting was a little...well....crumby...It's all good though because it got covered by fondant anyway though. I whipped up a batch of fondant and then split it in two for coloring. I did gray for the blade and red for the handle. (Then I also took some later to make black for more details...) BTW I think this tastes WAY better than regular fondant. First stir the spices into the shredded chicken. Serve warm with something like homemade sweet and sauce. This sauce goes really well with my Chicken Pot Stickers and Sweet and Sour Chicken.